Spring is slowly inching into New York City. Psychologically I am ready to shed the wool hat, wool scarf, wool gloves and wool coat. Proof of this was yesterday morning when I left the house without my wool hat and wool scarf and wool gloves. Unfortunately I was walking a mile to drop Harper off, and then a mile back home. That was a long cold two miles. Tomorrow around mid-day the new season of spring will be here. Temperatures should be in the 50's. With a chill in the air I still won't be able to shed the layers but I can switch it up a bit. 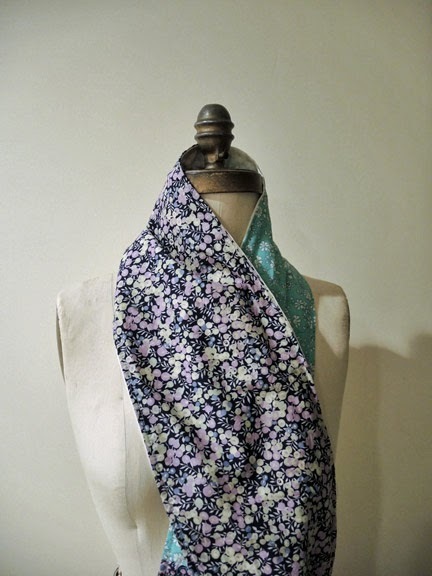 Last year I made a spring scarf using Nani Iro fabric and a Shot cotton fabric. Nani Iro is a lovely lightweight cotton woven with unique prints and a Japanese feel. 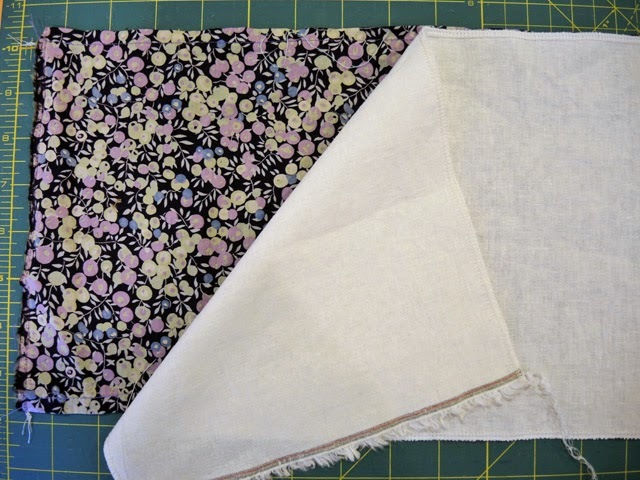 Shot cotton by Kaffe Fassett is also a lightweight woven yarndyed fabric. 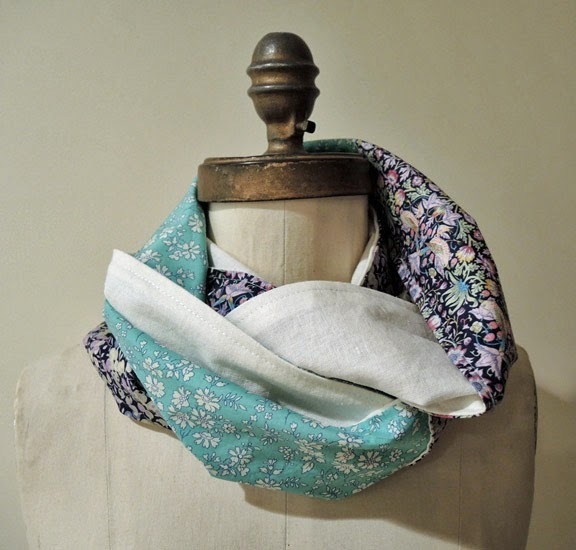 This year I decided to make a spring cowl using some Liberty of London scraps and Essex linen cotton fabric. 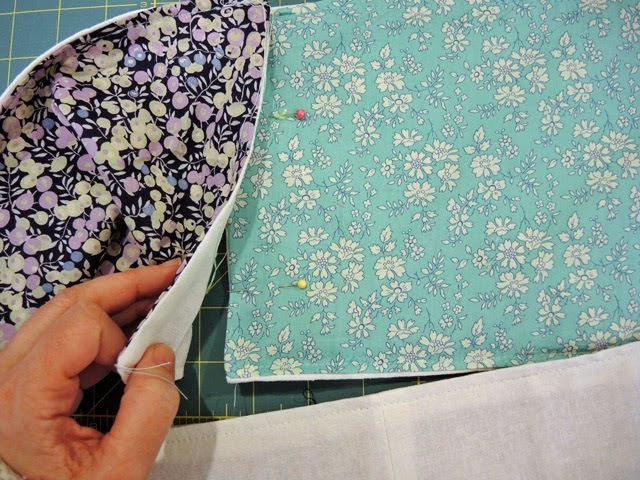 This project is beginner friendly, you can sew it up and have it ready for spring to hit tomorrow at mid-day. 1. 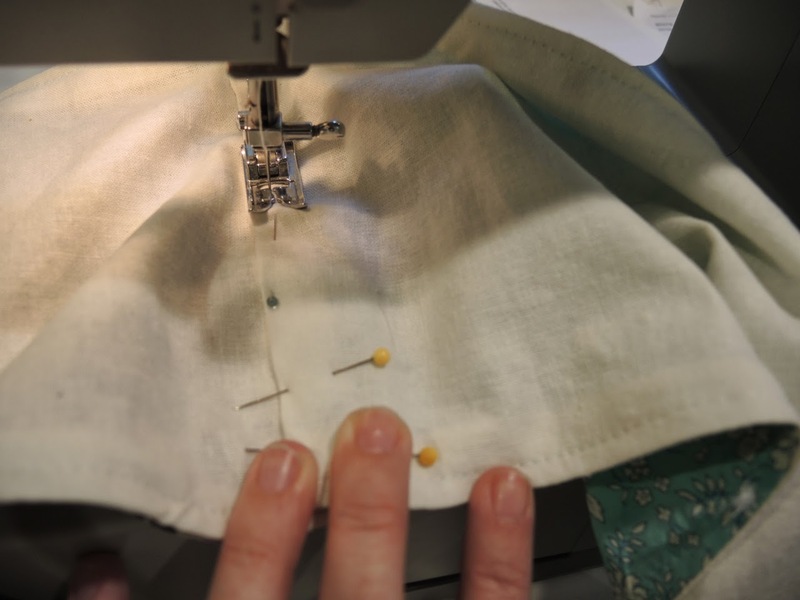 I have a serger so my edges are finished but you do not need to do this. 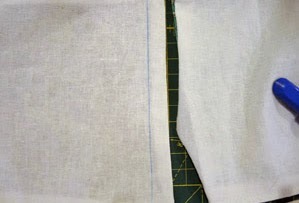 Lay your pieces together face to face (right side of fabric to right side of fabric) and sew 1/2" seam allowance down 2 long ends and one short end. 3. Turn this tube out so you have raw edges at the open short end. 6. 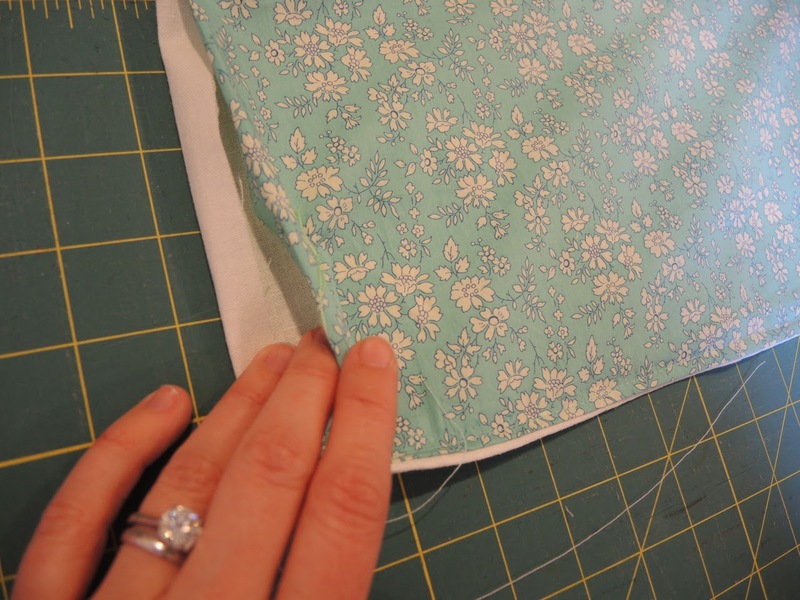 Sew an edge stitch. See where the edge of the fold is right next to the left edge of the presser foot? I love your fabric choices! Great tutorial too!